Has anyone even tested Goblins in Modern? The speculation is so rampant on a strategy that has yet to prove itself. Maybe people are forgetting there’s no Goblin Lackey, Goblin Matron, Goblin Ringleader, Goblin Warchief, Gempalm Incinerator, or Rishadan Port. We are in the midst of rampant speculation on Legion Loyalist, Warren Instigator, and the catalyst itself, Goblin Piledriver. With prices this inflated, the risk of buying into these targets is at its highest. Being the steadfast risk intolerant speculator, perhaps I can propose some alternate targets – still potentially relevant to a Goblins Modern strategy – with a much more attractive risk/reward equation. Goblins are an unproven strategy in Modern. This is certain. What’s equally certain is that Elves and Merfolk are proven strategies in Modern. Both decks won a Modern Grand Prix very recently. I proffer this idea for your consideration: why not buy into some of the cards in those decks instead? Some of the critical pieces of these decks have barely moved! 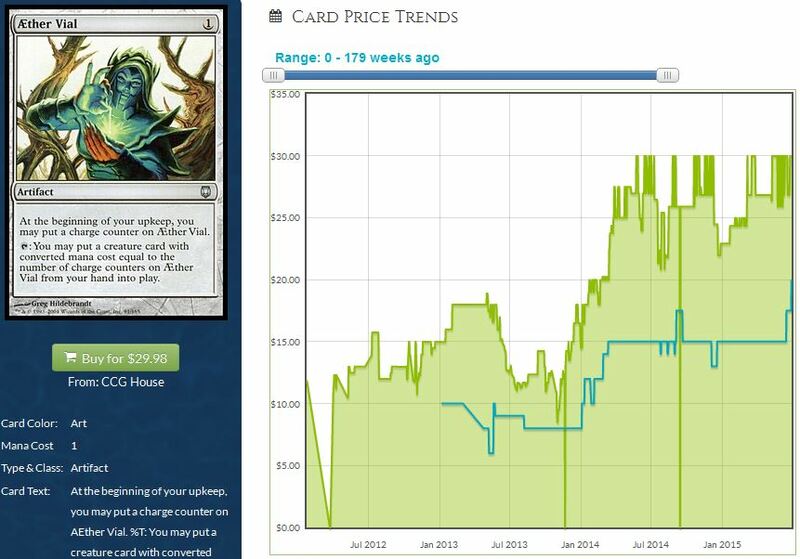 So while Warren Instigator, a card I’ve never seen cast in my life, goes from $10 to $17, you could be buying into something like Silvergill Adept near its 2014-2015 low! Silvergill Adept is critical to the Merfolk strategy in Legacy and Modern. I hear getting a Merfolk in play while also drawing more Merfolk is a pretty sound strategy [Editor’s note: Best card in the deck, not close]. And there’s no way this card should be under $3 when Nettle Sentinel – a common from the same block – is around the same price. If you’d prefer throwing your money into Mythic Rares, you could also consider Master of Waves. 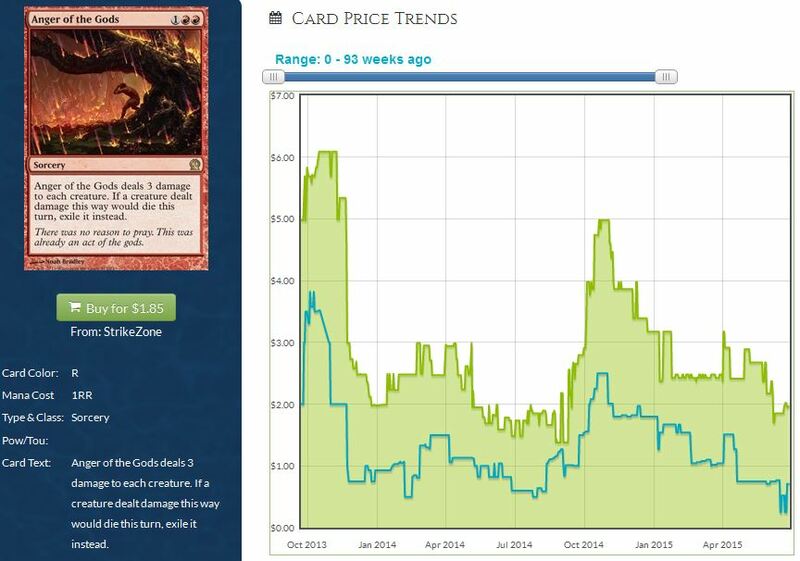 It’s about to leave Standard, but I suspect nearly 0% of its value is driven by Standard play anyway. This key Merfolk card can be found for under $4. I’d much rather have my money in these than, say, Goblin Rabblemaster – a rare about to rotate that does have value driven by Standard play. Fish not your thing? You could pick up a couple of critical Elves pieces instead. Most of the best Elves targets have already spiked, but I could see Elvish Archdruid moving higher. It’s been printed a million times, but it’ll always have some demand keeping the price above bulk. And the further away we get from the latest printing, the more value it’ll become. If you want to trade into something newer, you could always pick up Nykthos, Shrine to Nyx. The card may dip slightly at rotation, but this land is powerful and should maintain value going forward. You will likely need to be patient with this one, since I’m sure a ton have been opened. Still, you could find far worse places to park money. The rise in popularity of tribal strategies has generated newfound opportunities in Modern speculation. Most Elves cards have already seen significant appreciation. 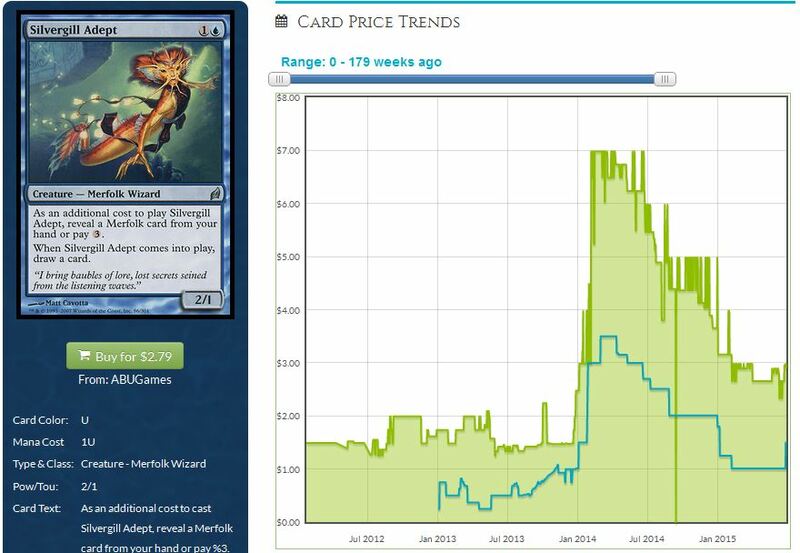 Merfolk cards haven’t moved as much, but they should bounce nicely off recent lows. And of course we’ve all seen the rampant Goblins speculation this past week on news of a Goblin Piledriver reprint. Rather than tossing the dice and gambling on one of these strategies, wouldn’t it be nice to find something relevant across all three? In an ideal world, you could acquire key cards that play an important role in all Tribal decks. This way no matter which strategy rose to the top, you’d have exposure to important cards. I did a quick comparison between Knocinski’s winning Merfolk build and Malone’s Elves build to start. I’m immediately disappointed. I counted exactly one card in common: a singleton Cavern of Souls played in Elves. As an aside, Cavern of Souls is positioned to continue hitting new all-time highs given its relevance in Modern and Legacy. While my profits were still decent, I will be first to admit I made a mistake selling this one. This is definitely a case where my perpetual bearishness in Modern narrowed my perspective too much. 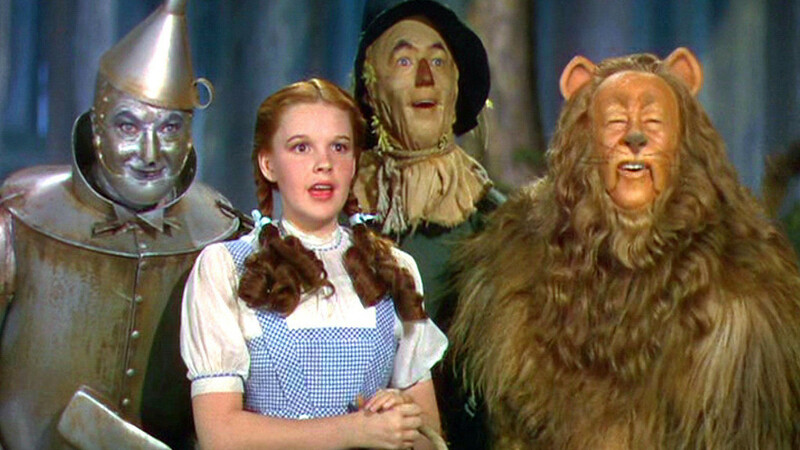 This land will only go higher until it is reprinted. The current $50 price tag is likely to stick. Despite the common “tribal” theme, it would appear these three decks all have completely different building blocks. Outside of Cavern of Souls, I see no overlapping card. Does that mean we should give up? Absolutely not – it’s all about speculation! For example, couldn’t Aether Vial be relevant in at least two of the three tribal strategies? Elves may not want the artifact for now, but I could certainly see Goblins following the Merfolk approach to flash out instant-speed lords. 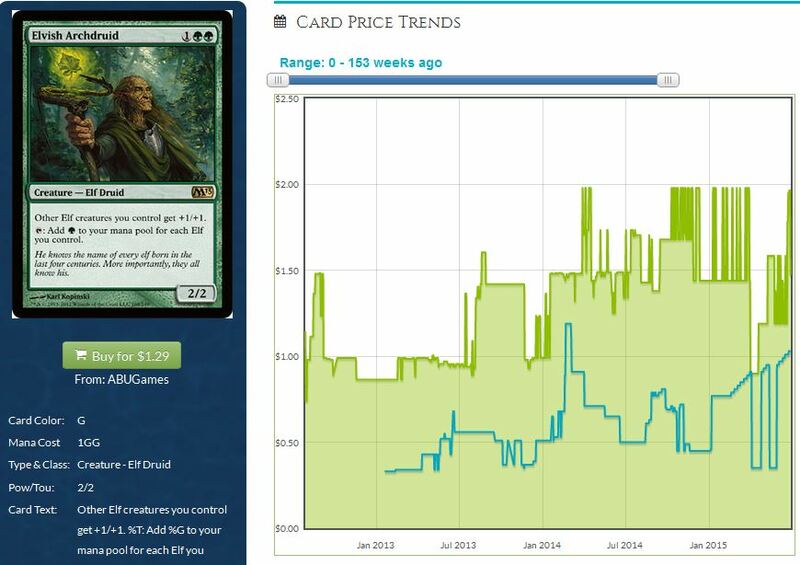 I really like the card’s price chart as well, from a technical standpoint. I see some healthy growth in both retail and buy list pricing. More importantly the buy/sell spread has narrowed in recent weeks – a likely sign of further price appreciation on the horizon. While speculating on a $30 uncommon is a tough pill to swallow, I’d still support grabbing a few copies. Feel free to grab the Modern Masters version if you feel better paying $30 for a rare instead. 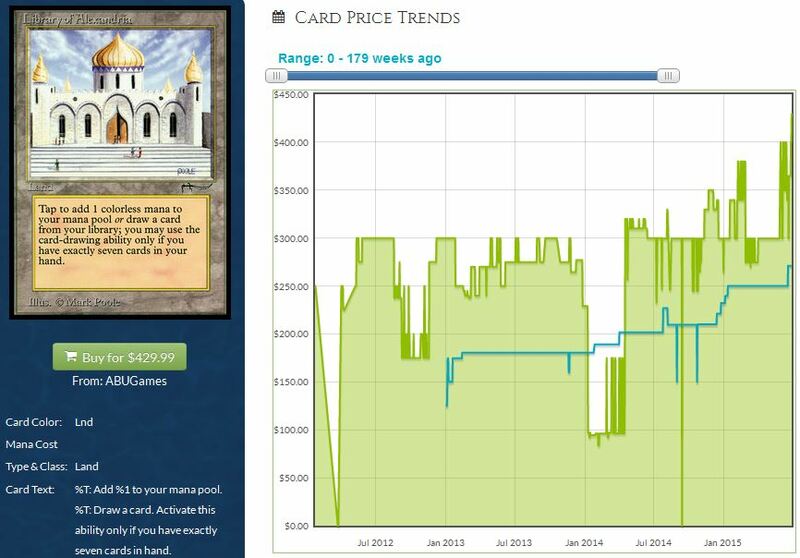 Perhaps a safer target is a critical land that is near an all-time price low: Mutavault. While this land isn’t so hot in Elves, I could see Goblins picking it up. And even if Merfolk is the only deck that runs Mutavault, it’s still an automatic 4-of in every Merfolk build. This is a card I’m willing to throw cash into; it can readily spike to $20 during next year’s Modern season or possibly earlier, if the Modern metagame leads the right way. Perhaps I’m being naïve here. I’m focusing heavily on cards that these three tribal decks would want to play. But if I want to place bets on all three at once, perhaps I should be seeking out cards that beat all three of these strategies. I believe Anger of the Gods is already a viable sideboard card in Modern. A one-sided wrath for three mana is probably decent against all three tribal strategies. Be careful with Standard rotation – we may see a small dip before the card stabilizes higher. Perhaps trading for unwanted copies is the best play here. If you’re looking for a more permanent fix, you could try Night of Souls’ Betrayal. It doesn’t kill as many creatures as Anger, but sticking two copies could really wreak havoc on tribal decks. The card has spiked recently but buy lists haven’t chased nearly as much. I’d watch that spread closely – the opportunity to pick up this sideboard card may close faster than you think. Lastly, there’s my favorite sideboard tech: Engineered Explosives. This artifact seems well-positioned in a tribal-heavy metagame. Played right, you can set yourself up for a solid 3-for-1 or 4-for-1 play. This card is destined to go higher, and I don’t expect to see a reprint in 2015 or 2016. Most of you know by now I’m not as excited about Modern as the rest of the player base. Even though I’m trying to flip Modern specs, I really prefer to sink my funds into safer investments. I still believe most Modern staples will pull back in price in a month or two, so I’ll be content to largely sit on the sidelines until then. These charts are extremely attractive from an investor’s point of view. 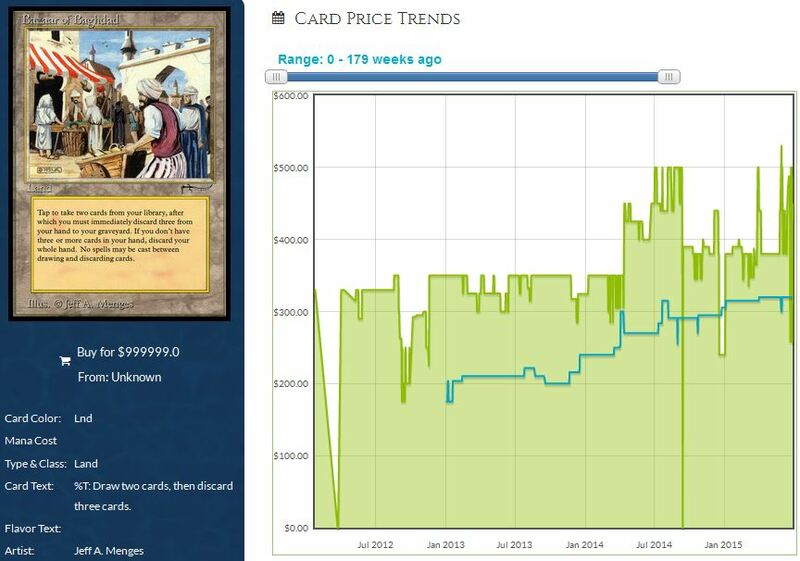 Barring a minor hiccup on Library of Alexandria last year, we’re seeing monotonically increasing prices over time. 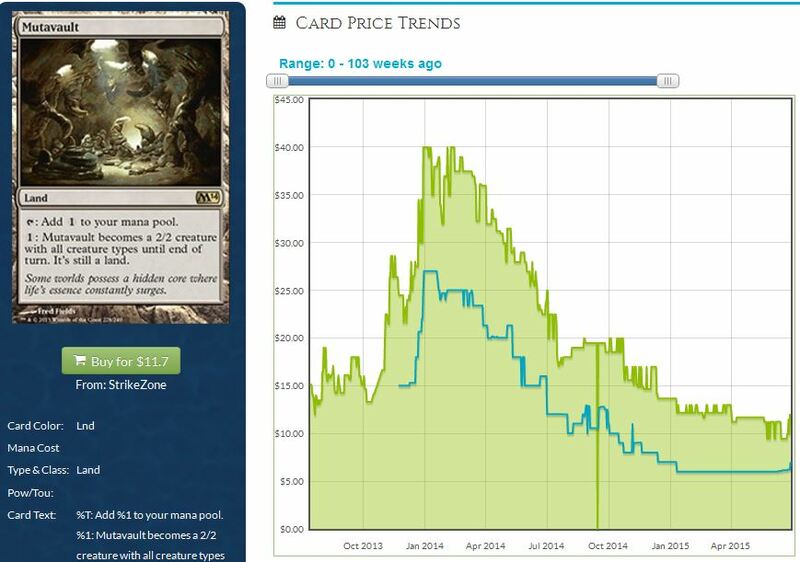 I’m not sure if Mishra’s Workshop’s price tag will stick above $1000, as reflected in mtgstocks.com’s most recent Interests page. But the card will certainly maintain its upward momentum in the years to come. I’d pay close attention to that buy-list curve, in blue, on these charts. They will reflect how eager dealers are to pay higher prices for these old-school cards. 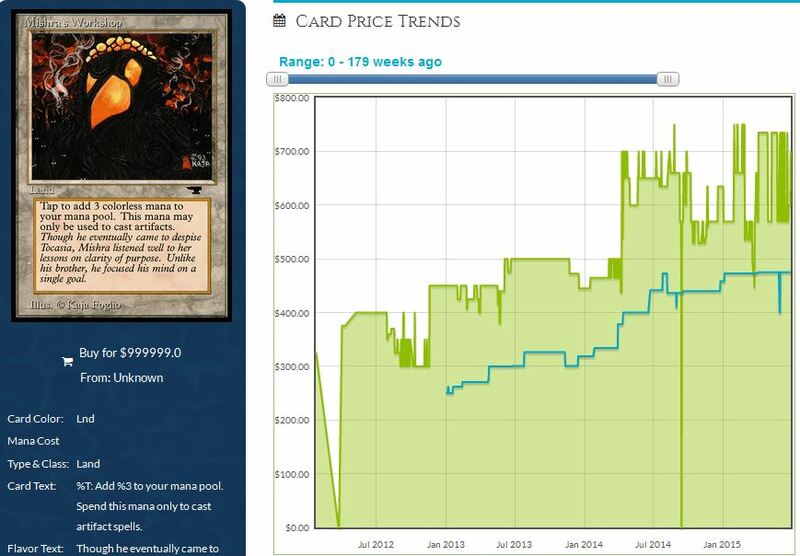 Library of Alexandria is even playable in Old School MTG, perhaps catalyzing some upward price movement. If I had to recommend picking one of these valuable Arabian Nights cards, I’d recommend Bazaar of Baghdad. The card is a 4-of in Dredge, a powerful Vintage deck with an important defining characteristic: no Power! Once you have your 4 Bazaars, you’re most of the way toward building a viable Vintage deck. Even if you never plan on playing Vintage, you have to admit the artwork on the card is one of the sweetest in the game. I’ve been eyeing this for almost a year now, and I’m only seeing upward movement on prices. The theme of last week: tribal Modern decks and high end Arabian Nights cards. These are on opposite ends of the risk/reward spectrum. On the one side, we have rampant Modern speculation based on unproven deck strategies (Goblins). 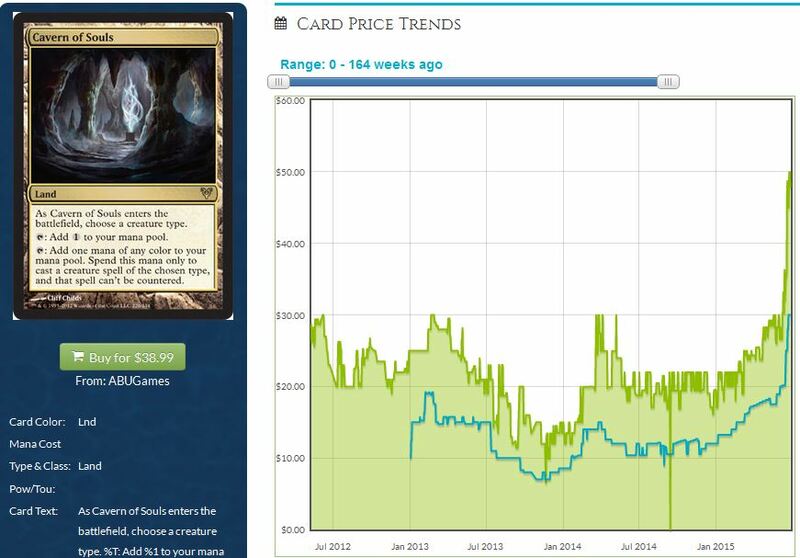 On the other side, we have measurable price growth in classic cards on the reserved list. While my affinity is always to err closer to the conservative side of the spectrum, I see many opportunities in between. You don’t have to chase Warren Instigator higher to make money on the latest trends. There are far better plays – especially at this point, where prices have already jumped so high. Aether Vial, Nykthos, Cavern of Souls, and Mutavault are all well-positioned no matter which tribal deck earns the top spot of future Modern events. If you really despise all three strategies, maybe now’s the time to pick up your Engineered Explosives. Targets like these are far safer than cards that have already spiked solely based on speculation. They have plenty of upside potential, with minimal downside risk at this point. These are my kind of pick-ups, and I’d encourage you to move some of your newfound profits into these cards as well. Give it a year, and you’ll likely be looking at more sizable gains. Plus you’ll have the upside of preserving your capital in case one of the tribal strategies becomes a major flop. It’s the best scenario for investing, and it’s why I’m moving my resources accordingly. Some tribal-specific lands have moved a ton lately. Wanderwine Hub has jumped all the way to $11.99 at Star City Games. The major retailer has no copies in stock. If I was going to spend $12, I’d rather pick up a Mutavault anyway. Gilt-Leaf Palace is the Elf equivalent to Wanderwine Hub. The only difference is Knocinski’s Merfolk build actually runs Wanderwine Hub, while Malone’s Elves list did not use Gilt-Leaf Palace. Despite this critical fact, Star City Games is still completely sold out of the palace, though their price tag hasn’t corrected the latest spike: it’s only $3.99…for now. I wasn’t exaggerating when I mentioned how popular Engineered Explosives is right now. These tribal themes are only going to make the artifact more powerful. 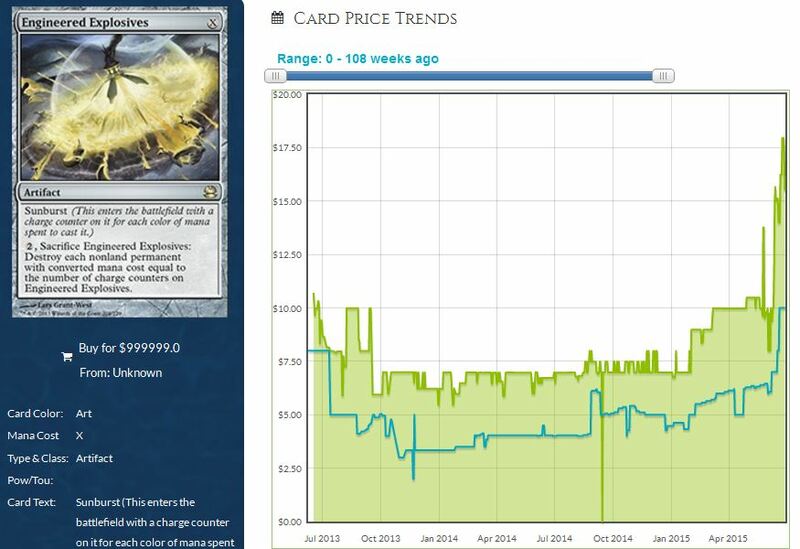 Perhaps that’s why Star City Games is completely sold out of all non-foil copies of the card, with a $17.99 price tag. These will retail for $20 very soon. Great article as usual, Sig! Love your stuff. Good to also see that I’m ahead of the curve or at least on par with big mtgfinance people like you. Thank you very much. I really appreciate the kind words. It’s rewarding to read both the positive and the constructive comments. I will also encourage folks to share their thoughts. That’s the only way I’ll ensure I stay relevant and hopefully improve. By the way, how do I receive notifications when people reply to comments I’ve posted on this site? You can message me on Twitter (www.twitter.com/edwardeng). I followed you :). Though I don’t know how to turn on notifications, I’m afraid. DOH! Good call, my mistake. I guess it’s just not enough to get there then. And I DO think the 1 mana makes a big difference when it comes to curse of death’s hold. We need Engineered Plauge in Modern :(. Thanks for the catch! It’s still a solid pick-up, but less exciting as a Legendary Enchantment. I think if you play 2 you still get both effects before one goes to graveyard , so still useful but not as good. Hmmm, good to know! I hadn’t thought of that – and with the new legendary rule, one stays in play. So it’s not the absolute worst I guess. Or the fact that Goblins is weak in today’s Legacy anyway. I can’t imagine the going is much better in a world of Anger of the Gods, Pyroclasm, Supreme Verdict, Electrolyse and 8-12 main deck removal spells as opposed to 4-6 in Legacy. YES! Exactly. People have certainly overlooked the fact that Goblins isn’t really a deck anymore in Legacy. And there is a TON of removal right now – all efficiently costed as well. And Piledriver is strongest against blue, which isn’t even the most popular color in Modern right now. He’s killed all day by Path, Liliana -2 ability, Pulse, abrupt decay, slaughter pact, etc. Thanks for the build. When I wrote this piece I was afraid all of the goblin supporters would argue how awesome this deck will be. I’m glad I’m not the only skeptic. How is all that removal against Merfolk and Elves though? Liliana can’t target so he will not be the one sacced most of the time. I agree that Goblins likely won’t make it unless something else gets added to the mix. Needs more disruptive elements and or card draw. Same removal works for all tribes. I just feel like there are not enough ways to reload or disrupt in Goblins. The lack of Ringleader and Patron just seems huge to me. Like you said, it needs some sort of card draw. Otherwise you’re just better off playing burn.